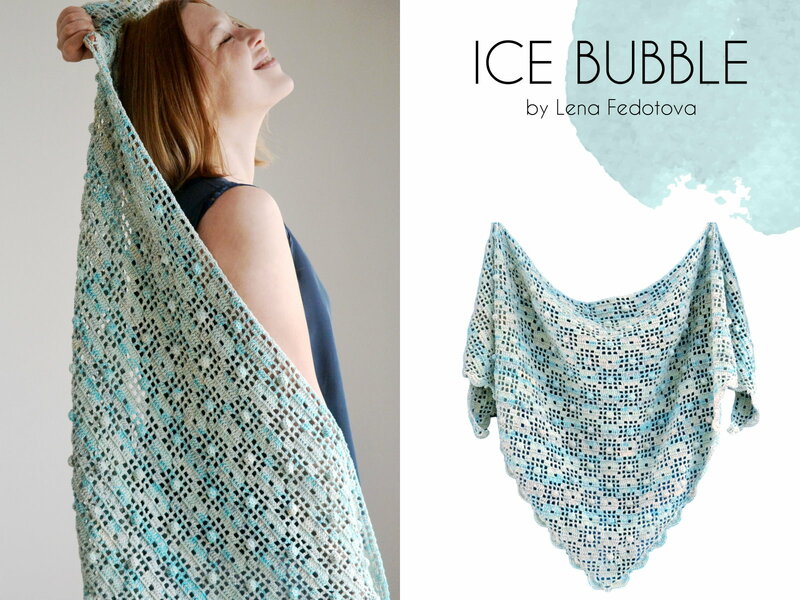 I’ve got a pre-release CAL for my Ice Bubble Shawl starting in just a few days in the Cup of Stitches group on Ravelry! The pattern will be released by the end of February, but all CAL participants will receive this pattern for free. There is no deadline there; I will be just more than happy to see your finished shawls or your projects in progress. To join the CAL, please leave a comment in this thread and PM me your e-mail address. You are very welcome to join until Monday, February 5, 2018. The pattern will be sent on Monday. What a beautiful shawl. Love the colours in it. Lena, this is gorgeous! I love the effect the pattern makes! Beautiful pattern. Please add me to the pre release cal!! Thank you!